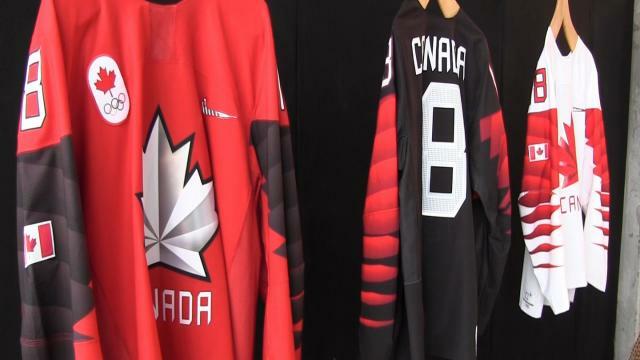 Nov. 1, 2017 1:45 p.m.
Here’s a glimpse at the new uniforms that Canada’s hockey players will wear at the Winter Olympics. They have the classic red, white and black. Each one features the prominent maple leaf in the middle. The Olympics begin in Pyeongchang, South Korea in February.